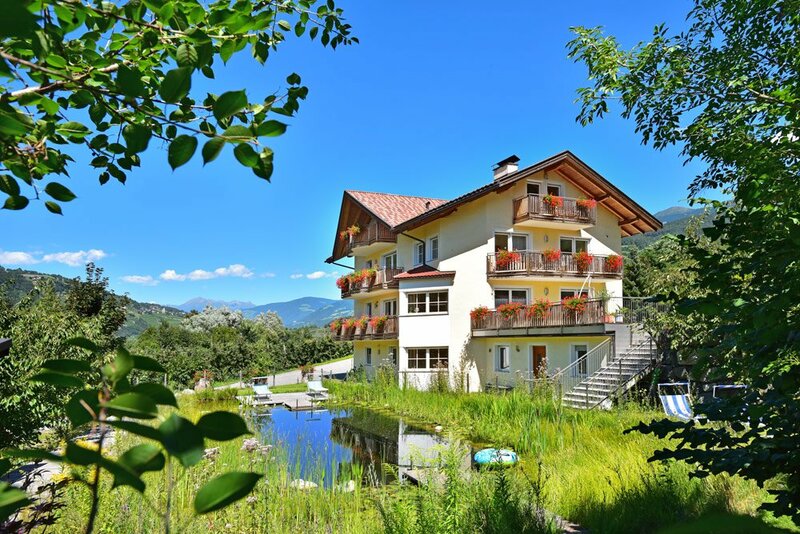 The ideal accomodation for your farm holidays in South Tyrol: embedded in the enchanting scenery of the Eisack Valley, the Untersteinerhof is situated in proximity of Brixen, a cultural and shopping town. 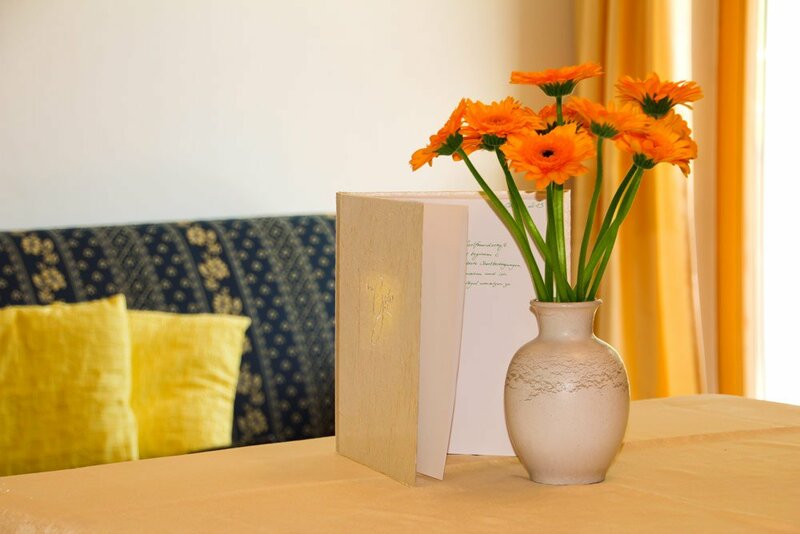 Surrounded by the multi-coloured orchards of the Brixen basin, our farm is sited in an amazing standalone location on the edge of the forest, offering restoring holidays in the Eisack Valley. The recently built fruit farm disposes of three spacious holiday apartments with an impressing view of the Eisack Valley. 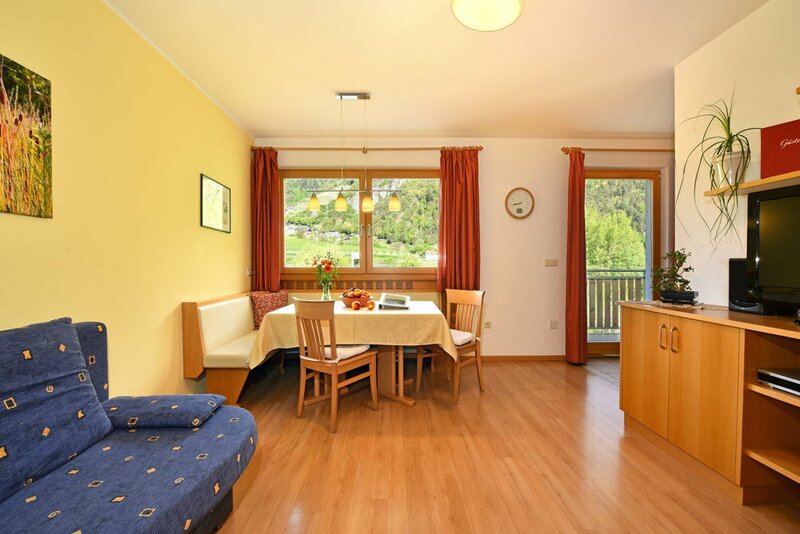 Holidays in Brixen/Albeins at Untersteinerhof – a charming experience for nature lovers. Look forward to the holiday on our farm. Be most welcome! Lisi, Thomas, Sabine, Stefan and Sofia cordially welcome you to the Untersteinerhof. On our orchards we mainly grow apples of the varieties Gala, Golden and Stark Delicious. However, you can also find other different fruit and berry species as well as vegetables and fresh herbs, which we directly pick from our garden. Our chickens daily provide us with fresh eggs. In addition, you are more than welcome to make use of our bread roll service which is included in the price. Apple juice, marmalades, eggs, various varieties of seasonal stone fruits and pomes. We offer (on request and prior agreement): guided tours through our beautiful fruit orchards where you can admire the vegetation and watch the different particularities every season has to offer. A large garden, equipped with a wood-burning barbecue and a garden shed, offers plenty of space for the games of children and gives the adults the opportunity to relax and enjoy their holiday. We invite you to savor the delicacies from our vegetable garden, the fresh herbs from the herb spiral as well as the fresh fruits like raspberries, blackcurrants and apples. Holidays in the Eisack valley are definitely a multifaceted experience. Besides the medieval towns of Brixen and Klausen, the holiday region is mainly known as a quiet hiking paradise with numerous leisure opportunities. Located in the centre of the Eisack valley, Brixen is rich with history and culture, and the magnificent old town with its many shopping opportunities has a distinctive charm. The tiny city of Klausen with its romantic old town is another popular destination for South Tyrol visitors. Throughout the Eisack valley a series of amazing paths lead into a world of relaxing hiking tours. 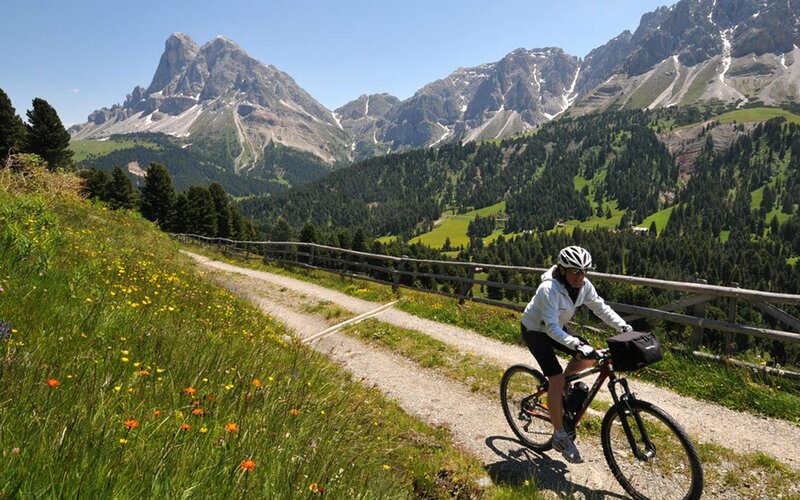 In summer as well as winter, the hiking and skiing area Plose – Brixen is a most attractive destination for activity holiday freaks. Holidays in Brixen/ Eisack valley – there’s no way to get bored. 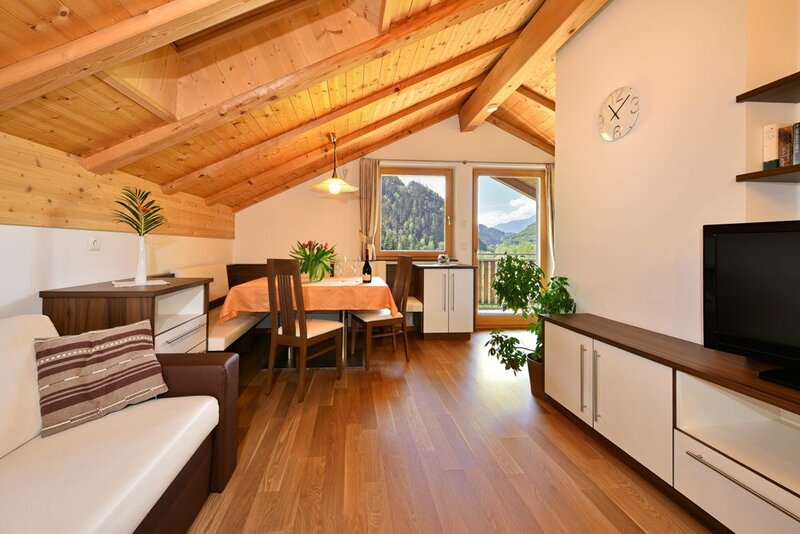 At Untersteinerhof your family holiday in South Tyrol will be a varying experience. The spacious garden with its playground offers plenty of fun opportunities and is an authentic adventure park for children. 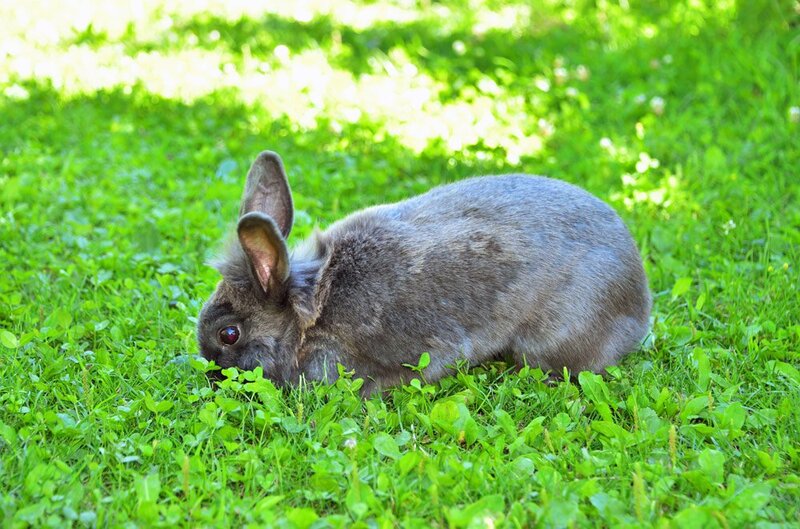 Kids may marvel our animals with dog Laura, cat Mitschu, guinea pigs and rabbits. Our chickens serve you with your morning breakfast eggs. 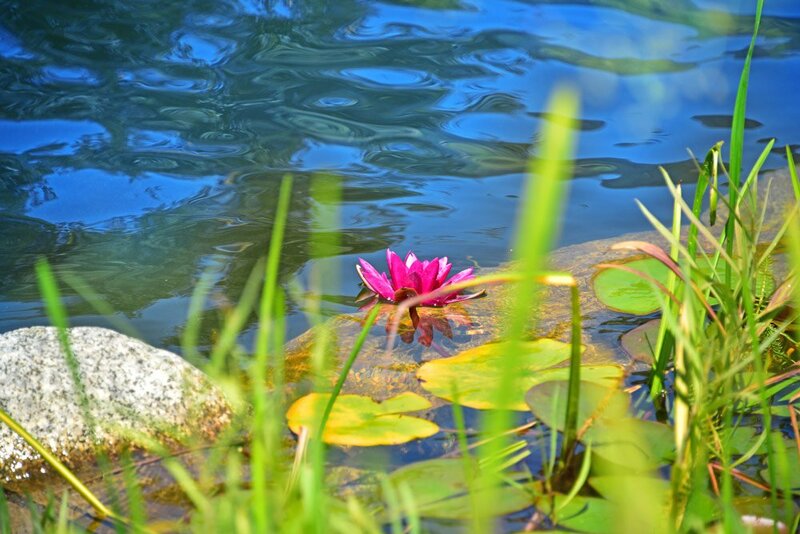 A particular highlight for kids holidays in South Tyrol is our natural bathing pond with a proper infant pool. Water rats can jauntily bluster and frolic in the water. The summerhouse with barbecue area grants pleasant family evenings and the gorgeous twilight atmosphere of the Eisack Valley will leave indelible holiday impressions. At our apple farm in Albeins/Brixen the most eager visitors might participate in the farming activities; farmer Thomas will be pleased to take you on a walkabout through the orchards. Try our self-grown genuine and rich products and enjoy our fruit and vegetable variety as well as our fresh herbs and eggs.